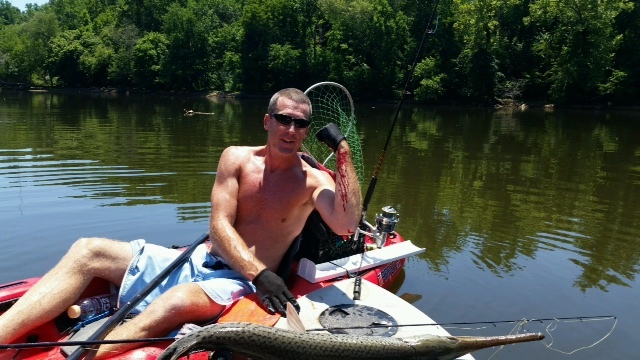 This was a trophy gar I caught on the Cape Fear river in 2014. The fish actually came out of the water and bit down on both sides of my forearm. Its my blood, not that of the fish. I did a write-up of the trip and submitted a few photos and received a front page blog award on ncangler.